This week, I am getting a head start on Independence Day. But if you know your American history, July 3 is actually in between two known dates for Independence Day. The Declaration of Independence was actually drafted on July 2, 1776. However, the news wasn’t officially known until 2 days later. So that’s why we celebrate on July 4th. Anyway, let’s look at the verses above. Whether or not you’re an American, you are quite familiar with the “Star Spangled Banner.” The song was written by Francis Scott Key in 1814 and it eventually became the national anthem for the United States. The last lines consisted of those words at the top and they became famous on their own. Now, you might be thinking: “Hey … we know where and when the saying originated, so …?” But how many of us know about the meaning of the song? Many of us still need to review the history of the song and of Key. We can then go onto understand the meaning of the lyrics, especially the last ones. Francis Scott Key was an American lawyer and poet. He was born in Frederick County, Maryland on August 1, 1779. His family was wealthy and lived on a plantation called Terra Ruba. Key was home-schooled until the time he was 10. By then, he studied at Annapolis Grammar School. He eventually went on to study at St. John’s College. Key would practice law after returning to his home town. In 1805, Key set up his own law practice in Georgetown (in Washington, D.C.). It was his practice as a lawyer that would play a part in the War of 1812. Key would continue practicing law after 1814. In 1833, he became the District Attorney in Washington, D.C. From his post, Key, who was a slave owner, upheld the system of slavery and prosecuted abolitionists (Biography). Jefferson Morley wrote about Keys’ relationship with race in his 2012 book, Snow-Storm in August: Washington City, Francis Scott Key, and the Forgotten Race Riot of 1835. Some information was included in an essay on the Globalist website. Among the information Morley shared was how Key viewed Africans in America. It should be noted that Key had helped to establish the American Colonization Society, which was for the colonization of Africans in Africa (Biography). What Did the Poem Talk About? Some of us might know a little bit about this. When we hear the words “By the dawn’s early light,” “By the rocket’s red glare,” or “And the flag was still there,” we might have been told a little bit about the War of 1812 or just Fort McHenry, even in vague terms. In 1814, the British had attacked the White House and captured Washington, D.C. They took a man by the name of Dr. William Beanes hostage, as well. Beanes happened to be a colleague of Key’s, so the lawyer was asked to secure his friend’s release in Baltimore. After Beanes was freed, he, Key, and Colonel John Skinner would witness a 25-hour-long British assault on Fort McHenry that started on September 13, 1814. The three were aboard a British troopship. The British threw bombs from their ships in the Chesapeake Bay, but were unable to compromise the walls of the fort. There was a flag waving at the fort, sewn by Mary Young Pickersgill. At dawn on September 14, 1814, the flag was still waving. What Key witnessed would inspire him to write a poem originally titled “Defence of Fort M’Henry” (Biography). Notice how “O’er the land of the free and the home of the brave” is at the end of each stanza. As Morley mentioned, the song was eventually set to the tune of and “To Anacreon in Heaven.” That song was written by John Stafford Smith and Ralph Tomlinson (music and lyrics, respectively) for the Anacreontic Society in London. The music club and song were named in honor of the Greek poet Anacreon, who praised love and wine (“The Melody”). Why Did the Song Become the American National Anthem? It would take over 100 years after the poem was written for the first stanza to be recognized as the American National Anthem. The song was quite popular even immediately after Key wrote and shared it. In the months after Key shared his poem, it would appear in at least 17 publications along the East Coast (“The Lyrics”). It’s easy to understand why given the nationalistic lyrics. Also, as Morley also pointed out, there was an invocation of God near the end of the poem in its fourth stanza. The song would be in wide rotation from the Civil War onward. In the 1890’s the military also adopted it to use during ceremonies where the flag was raised and lowered (“National Anthem”). Although the song has its critics throughout the years for its “violent and boasting unwieldy lyrics,” it was still widely treasured. In 1916, President Woodrow Wilson declared that he wanted the song to be played at official events (Biography). In 1930, Congressman John Linthicum would introduce a bill to recognize the “Star-Spangled Banner” as the American National Anthem. Wide majorities in both houses of Congress approved the Baltimore Democrat’s bill. And on March 3, 1931, President Herbet Hoover would sign that bill into law (Morley). How Do We Treat the Song Today? We still do treasure it (especially when it’s sung properly, and by someone who can sing). We get angry when someone mangles the lyrics or forgets them, like that is an insult to this nation. But most of us don’t really know the history behind it or anything about the man who wrote it. And I think if we did, that should make us think. There are a series of contradictions here, especially when you take the story being told in the full poem, know more about Francis Scott Key, and consider the last stanza. He thought we should conquer in the name of God. He mentions the “Land of the Free and the Home of the Brave,” but he wasn’t brave (as a lieutenant) and he was a slave owner, who thought that Africans should colonize Africa. 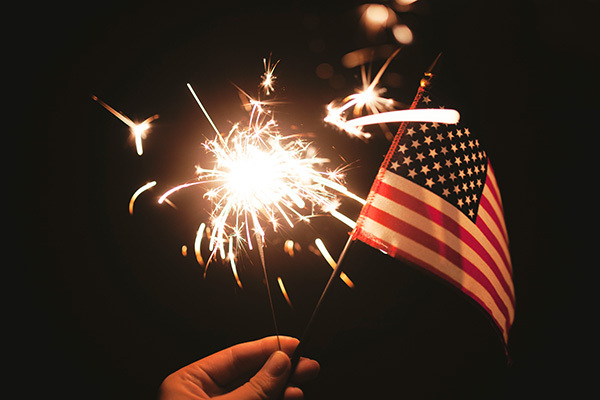 In any event, have a happy and safe Fourth of July. And please treasure American history, no matter how sordid it is in some spots. 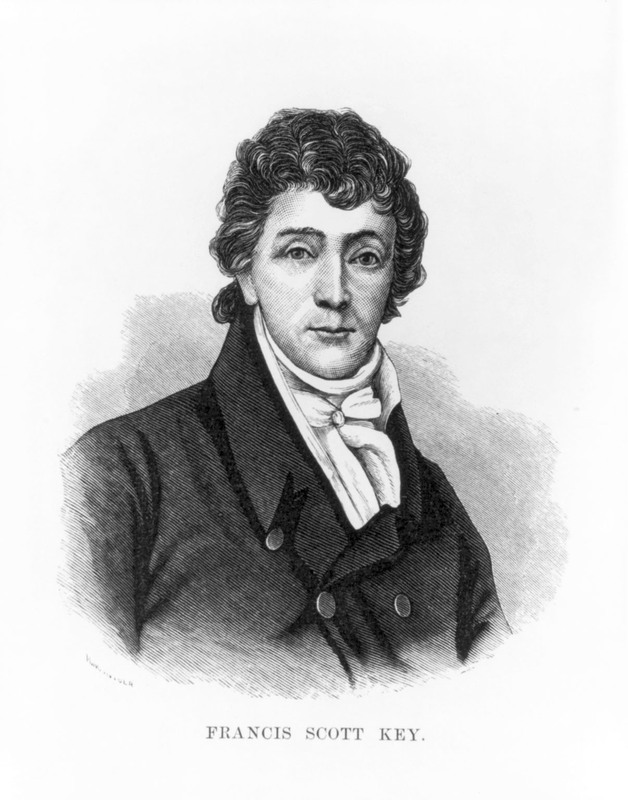 “Francis Scott Key – Poet, Lawyer.” Biography.com. Web. Retrieved 3 July 2016. <http://www.biography.com/people/francis-scott-key-9364165>. Morley, Jeffery. “The Land of the Free and the Home of the Brave.” The Globalist. 4 July 2013. Web. Retrieved 3 July 2016. <http://www.theglobalist.com/the-land-of-the-free-and-the-home-of-the-brave/>. 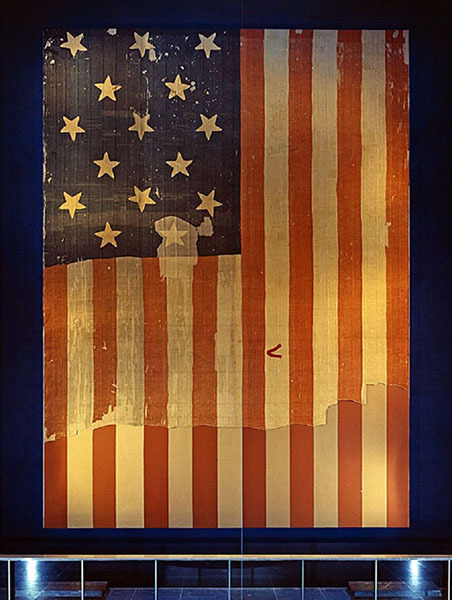 “NMAH | Francis Scott Key.” The Smithsonian – National Museum of American History. Web. Retrieved 3 July 2016. <http://amhistory.si.edu/starspangledbanner/francis-scott-key.aspx>. “NMAH | The Lyrics [of the Star-Spangled Banner].” The Smithsonian – National Museum of American History. Web. Retrieved 3 July 2016. <http://amhistory.si.edu/starspangledbanner/the-lyrics.aspx>. “NMAH | The Melody.” The Smithsonian – National Museum of American History. Web. Retrieved 3 July 2016. <http://amhistory.si.edu/starspangledbanner/the-melody.aspx>. “NMAH | National Anthem.” The Smithsonian – National Museum of American History. Web. Retrieved 3 July 2016. <http://amhistory.si.edu/starspangledbanner/national-anthem.aspx>. Great history, great country. great people. Hearty congratulations. Thanks. Key seemed to be a most improbable hero, with all his failings.The complete version of the poem is very telling and sounds extremist in intent. Thanks for sharing this interesting history. It was my pleasure. I’m glad you enjoyed this post.